The .330 Lapua round is a great pick for long-range rifles or sniping activity. It’s become a mainstay of military and hobbyist snipers, both of which can make use of a great scope to pair with their rifle. You’ll need a good scope to effectively use the round’s superior range, anyway. In this guide, we’ll show you exactly how to find a good .338 Lapua scope, along with several good recommendations for your consideration. 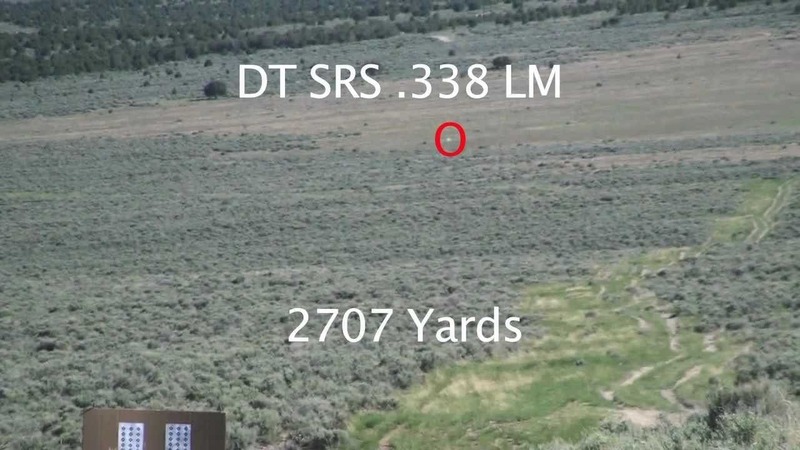 What is the Effective Range of a .338 Lapua? .338 rounds and the rifles which fire them were developed for military snipers in recent decades. The rounds are powerful, hit heavily, and are extremely accurate at ranges up to 1500 meters away at sea level. While you can still hit targets further out than this, accuracy will decrease the longer you go. Since these rifles are typically used for long-range engagements, close-range combat or hunting is not recommended. You can, of course, hit targets at closer ranges than around 1500 meters but you’ll be wasting rounds and time on targets that can be hit with other weapons more rapidly. Before we get into the best scopes possible for .338 Lapua rifles, you’ll need to remember these key points. These are factors that can make or break a good scope and will heavily influence your weapon’s performance. Since these rounds are great for sniping and long-range combat, your ideal choice should have magnification levels suitable for distant shooting. Don’t get a one that can’t reach magnification levels of ten or higher. Good eye relief, or the space between your eye and the lens without sacrificing accuracy, is critical. Recoil can be heavy with snipers or heavy-hitting rifles and nothing ruins a good hunt like a black eye. Weatherproof options are great because you can take them anywhere and use them in any weather condition. They’ll also tend to last longer, saving you money in the long run. First focal plane reticles change size as you switch magnifications, while second focal plane reticles stay the same size no matter your magnification level. Which you prefer is up to you, although stationary snipers will likely prefer the first focal plane and hunters the second focal plane. Here are some of the best scopes for .338 Lapua available in the market. We rated and reviewed them in detail along with the pros & cons. The Nikon Black X1000 is a great scope for hobbyist snipers or rifleman who like to shoot targets at varying ranges. 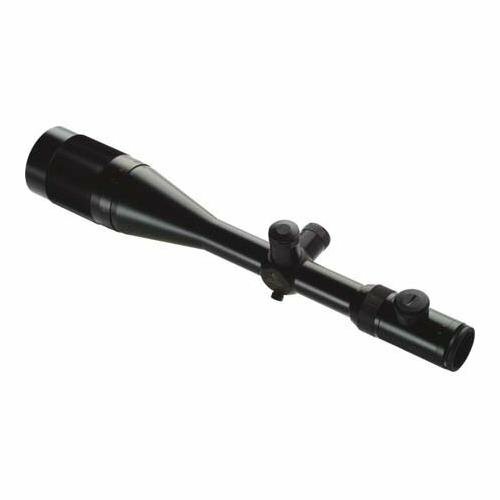 Its magnification levels are between 6 and 24x, which isn’t as high as some models get but is plenty far to handle most sniping needs. The lower magnification levels will help if you choose to hunt with this kind of rifle, too. The reticle is located on the second focal plane, so switching between magnification levels is extremely smooth. It’s etched on the glass itself, so even heavy recoil won’t move the reticle a single millimeter. It’s fitted with illuminators that can alternate between ten different intensity levels, optimized for daytime or nighttime shooting. These illumination settings are easy to switch between via a knob on the side and it clicks with each switch for audible satisfaction. A turret-mounted parallax adjuster is positioned perfectly so that you can make your modifications without having to move a lot. This can conceal your position and keep your stealthy cover intact. The entire device is durable and built to last, and the ergonomic windage and elevation turrets allow for comfortable use even during long periods of rest or watching. The biggest draw to this product is its versatility. It can handle a lot of different ranges and remain comfortable no matter what you’re using it for. The fact that it’s so easy to adjust and maintain in any weather condition cements it as a fantastic product for virtually any user of .338 Lapua rounds. The Nikon X1000 is a good choice if you enjoy shooting at all kinds of ranges. 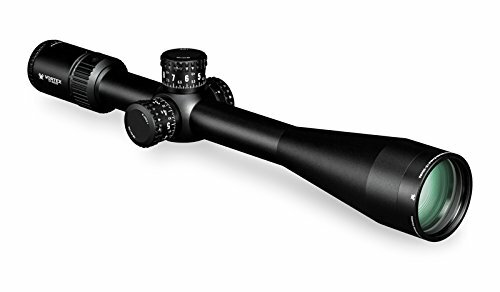 It’s a comfortable, adaptable scope that’s great for close or longer-ranged work and its reticle is a steady, reliable gauge that’s perfect for landing amazing shots at any magnification level. The Steiner Optics GS3 has a phenomenal reticle and sight picture that amplifies color contrast. This means that finding targets in mono-color environments, such as the lush green of forest foliage, will be easier than ever. The reticle included with the scope is a Plex S7 style, which has notches and indicators that are great for adjusting for wind and distance. You’ll be able to predict your shots accurately with a reticle such as this. The enhanced color contrast is achieved with a Color Adjusted Transmission, or CAT. This only amplifies light and contrast in the part of the light spectrum the human eye can detect, keeping unwanted light out and preventing it from cluttering your view. Glare is not increased with this lens at all. The entire product is weatherproof and very durable. A hydrophobic molecular coating makes the lens surface very smooth, which makes water and dirt slide off rather than stick and scratch. This will both increase the scope’s lifespan and ensure that you’re getting the best image every time. Its maximum magnification is a little low for extreme long-range work, as it only goes up to 20x. However, this offering also goes much closer than many competitors, down to 4x. Whether or not this range is suitable for your particular interests is up to you. The GS3 is a good pick for moderate-to-long range shooting and has a fantastic reticle that really brings out the best in color for any environment. This lets you acquire targets consistently and quickly. Good construction will preserve the scope and its lens for years to come. This scope really brings the distance into view, reaching magnification levels of up to 60x. 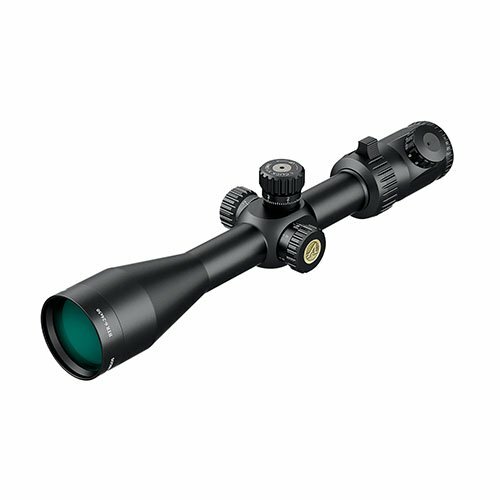 This means that the Golden Eagle scope is adept for long-range work and its shortest magnification level is set to 15x. Moderate-range shooting isn’t the focus for this product. This item is inherently modifiable, with MOA adjusters that click as you switch from level to level. A side focus adjustment lets you eliminate parallax in your sight while not requiring you to drastically change your position. This is a lot like the Nikon Black in that it can preserve your stealth. The lenses are index-matched and made from high-density glass, which improves their toughness. They are each coated with XR anti-reflective coatings to reduce glare but maintain a high brightness that brings out a colorful, sharp sight picture. The entire body is durable and weatherproof. It’s made from one tube of aircraft-grade aluminum that’s been O-ring sealed and argon-purged. There are Armortek coatings to protect the lenses from scratches, oil, or dirt, too. The pricey-but-worthwhile Golden Eagle gives you the tools you need to make shots from thousands of yards away. The lenses are of superb quality and the entire scope is built to last for years. Comfortable, ergonomic adjusters let you fine-tune your experience without sacrificing your position or cover. This is another offering that has a wide range of effective magnification levels. It can’t get very close, as its shortest zoom is set to 12x magnification and its longest is at 42x. This means that it’s a good scope for rifles or shooters that takedown game or targets from all kinds of distances without a focus on ultra-long ranges or very short ranges exclusively. The reticle is illuminated for your convenience and coated to reduce glare and reflectivity. The adjusters are smooth and click as you use them. The MOA adjusters can be set to zero after you look down the sights, improving your accuracy and distance gauging as you flip between magnifications. The objective is adjustable to better allow you to compensate for parallax and other factors. The Nightforce eyepiece reticle is also etched into the glass to prevent it from moving during firing. The reticle is drawn for fast target acquisition and easy switching between focuses. It’s set to the second focal plane and so won’t change between the various magnification settings. It also comes with a cleaning cloth to maintain your lenses and a lens cover for transportation purposes. The scope is built to be durable and long-lasting, although it's not totally weatherproof like a lot of the other items on our list. Although it costs a lot, the Nightforce’s snappy reticle and responsive adjusters make this product a joy to use to its full potential. 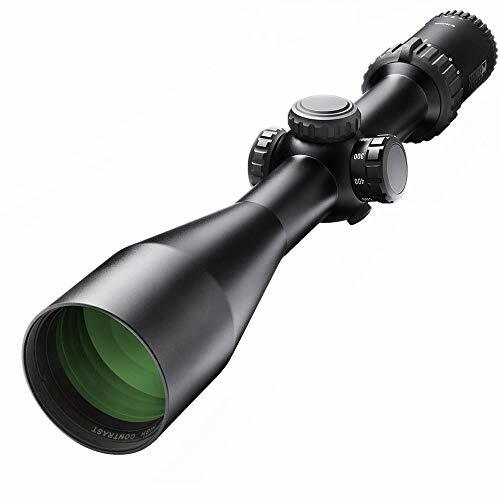 It’s made to switch between magnification levels, so hunters who track fast-moving targets or sharpshooters who like to challenge themselves by switching zooms quickly will enjoy using this scope in tandem with their favorite rifle. Finally, the Athlon Optics Argo BTR Riflescope brings some excellent value to our list. It’s affordable but practical for many hunters or snipers who focus on shorter ranges and snappy switching between magnifications. The reticle is positioned on the first focal plane, so you’ll find that the reticle changes size as you change zooms. This is a personal preference that a lot of stationary shooters will like, as they can adjust their measuring tools as they sight-in and use the resized reticle to the best of its capabilities. The adjusters are smooth and very fine; the MIL values are at 1/10 and can go up to 18 altogether for a whopping 180 settings. The dial for the MIL values clicks audibly with each adjustment so you can feel your way to the optimal setting. The parallax adjuster can go from ten yards to infinity. The scope is waterproof and made from aircraft-grade aluminum and it can survive being totally submerged. The lens won’t be affected by damage easily, either. It’s been coated to reduce both light and glare and protect itself from scratch damage. The lens coating also provides you with better contrast and light conditions than you’d otherwise get. 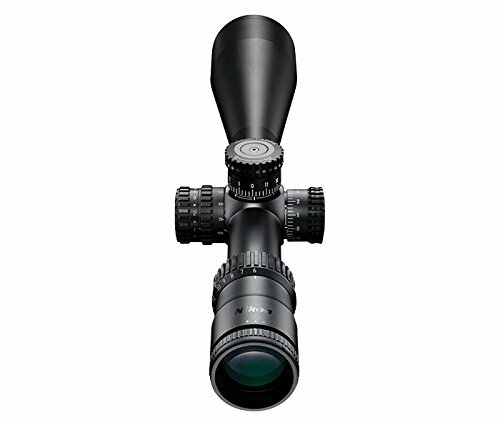 The Argos BTR is a great product for its price, offering a good range of magnification levels and excellent optics. Its adjustment dials are very fine but click well without slipping and the entire device is made to be durable. It also has its reticle on the first focal plane, which can be hard to find for many sniping scopes. Hopefully, this guide has given you some great ideas about what to look for in an ideal .338 Lapua scope, or shown you your ideal model already in our top picks! Whatever your choice, remember to keep our important considerations in mind. With the right scope, you’ll be amazed at what you can hit from 1500 meters away!